Many entrepreneurs are not equipped to survive the years of hard work and reach overall success. Lack of finance is one of the biggest reasons for this. For many small and medium business owners, managing finances is one of the most challenging tasks. Poor accounting practices leave business owners in the dark as to their financial standing. While in many companies, this is a role fulfilled by the Chief Financial Officer (CFO), in a startup, this is just one of the many hats the entrepreneur needs to wear. Entrepreneurs make life sacrifices, take risks to follow their dreams and pursue their passions. It is vital that they have the necessary information to ensure that they can focus on their business and leapfrog into the future. Dedicating an account to a business’s income and expenses is vital to ensuring that personal and business expenses are kept tidy. This is also useful when it comes to tax season and saving money. If a bookkeeper or accountant charges by the hour then having them stick to work finances instead of handling personal expenses will save them time and the business money. An itemised business account also helps with managing and projecting cash flow. Supporting the bottom line isn’t just about increasing sales and revenue but also about keeping expenses in check. Tracking and limiting expenses will automatically increase profit and also bodes well for tax planning. This not only helps with having a clear picture of the business’s financial standing but also helps with reducing costs and potentially increasing tax rebates. Good accounting software that can grow with a business, preferably from a supplier that also started small and understands the challenges of this market, helps a business owner keep a finger on the financial pulse of the entity. The introduction of cloud based accounting software has also made the costs of this service more financially viable. Technology has the ability to automate and speed up the calculations of business expenses such as tax and payroll and ensure that these are accurate. By automating accounting processes, this will free up time for staff to focus on other activities. Ensuring that invoicing is accurate, delivered on time and up to date is an essential element of financial success. Using an automated accounting system keeps you up to date on clients who need to pay and when. This also ensures that the cash flow of the business is always kept healthy. 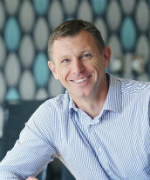 As Managing Director for Sage SSB (start-up and small business) Accounting South & Southern Africa, Daryl Blundell oversees the growth of the business and the development of solutions that help SMEs to grow and succeed. The Sage solutions under his watch are Sage One Accounting and Sage Pastel Accounting. Blundell brings to his role 20 years of experience in a range of sales, business development and management positions with organisations such as Ariel Technologies, Sun Microsystems, Systems fusion, Burlington Air Express, and Xerox. Prior to his recent promotion to his new position, Blundell was the general manager of Sage Pastel Accounting. Before that, he was sales director at Sage Pastel Accounting, having joined the company in 2007. Over the years, Blundell has played an instrumental role in developing and implementing Sage Pastel Accounting's business and sales strategy.